Browse Ampeg | Musical Instruments | GAK. Ampeg Bass amps are built to rock hard, one of the biggest names in the bass amp world and they have used by a who's who of amazing bassists such as Andrew Cichon, Daryll Jones and Chris Squire. Here at GAK, we have a large range of Ampeg gear that includes bass cabs, combos, heads, practice amps and stompboxes. 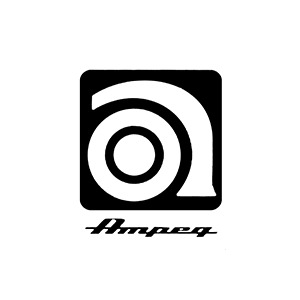 If you have any inquiries regarding Ampeg products then please don't hesitate in contacting one of our specialists in store on the following number 01273 665 400. Modern, lightweight bass enclosure built to handle the power of high-output Ampeg bass heads. The Ampeg AFP1 1-button footswitch with wired jack cable. The Ampeg AFP2 2-button footswitch with wired jack (TRS) cable. The Ampeg AFP3 3-button footswitch with wired jack (TRS) cable. Delivers incredibly rich tones and classic dreamy chorus thanks to its dual chorus circuit design. Utilises an optical circuit to deliver smooth, vintage style compression to add headroom and sustain to your guitar or bass.